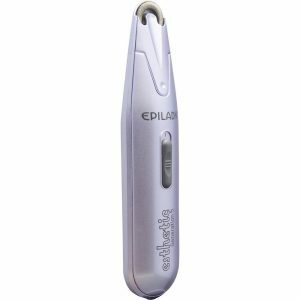 Speaking of Epilady’s proprietary coil-epilation mechanism, the Epilady Esthetic epilator offers easy and quick removal of small and fine facial hair right from its roots. 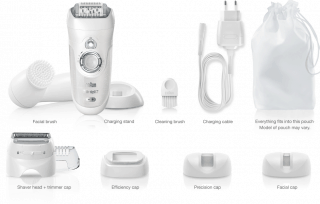 With this epilator at home, you can get long lasting results and you will definitely like your look. 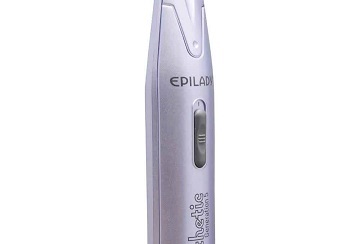 The Epilady Esthetic epilator has been specifically designed for removing fine hair. One of the most important specialties of this hair removal tool is that it makes use of spring coil instead of disc tweezers for hair removal. Complete with a carrying case, cleaning brush, instruction leaflet, two AA batteries and warranty details, this compact and lightweight epilator is perfect for traveling. This hair removal tool works on 2 alkaline AA batteries that come included with the purchase. The device has been specifically designed to be used dry. This means it is not suited for bathroom or shower usage. The whole idea is that the epilator should not come in direct contact with water. It helps in the gentle removal of facial hair and cannot be used on the other parts of the body. The device is slim and lightweight and thus an ideal travel companion. The epilator head displays a spring coil that rotates continuously by way of the battery operated motor. This spring is bent so that the coils open up at top of the head and are closed at the bottom. Hair gets caught between the open coils of this spring and further gets trapped when the coils close together all over again. With the continuous rotation of the coil, hair gets pulled right from its roots. Another important feature of this device is its easily portable and slim design. It is 25mm deep, 40mm wide and measures 169mm from top to bottom. The weight of this device is 117g with batteries in place. It can be used very easily and quickly without any maintenance. You can reap the best advantages of using this device if you have a completely dry and clean skin that is free from creams, chemicals, and make-up. 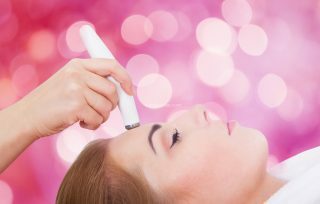 So make sure to clean your facial skin before using this hair removal tool. Also, ensure that the coil is clean by making use of the cleaning brush provided. Also, test a part of your skin first prior to using the device on your entire facial skin. This will help you in determining if any reactions would occur post usage. You must use this device only when your skin is fully stretched. Failing to do so might result in accidents. Avoid applying any pressure as this might cause irritation and pinching. Being able to use the device in a proper manner would render amazing facial hair removal results. « Liberex Painless Face Epilator – Why It Is So Special?